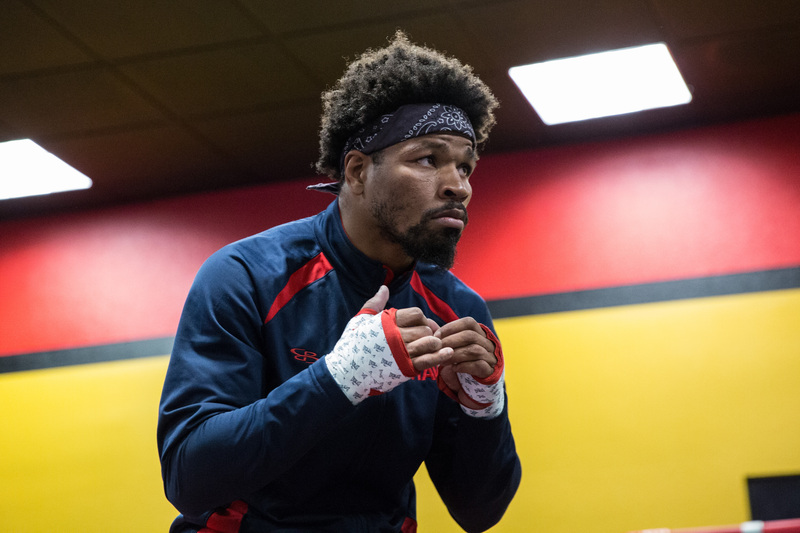 Former Welterweight champion Shawn Porter will return to the ring April 22nd at the Barclay's Center in Brooklyn when he takes on veteran Andre Berto. Both Porter and Berto will be fighting for the first time in 2017, and for the first time in almost a year. Berto is coming off an impressive KO victory over Victor Ortiz while Porter is coming off the second loss of his career in a very closely fought battle against welterweight champion Keith Thurman. Porter is not concerned of the ring rust, or of coming off a loss. "Every time I see this fight in my head, I feel good about it. I feel like my speed and my boxing ability is going to take care of the first half of this fight. Once we get going and establish the pace of the fight, which is what we're going to do, after that, we'll start working in our feints, our head movement, it's gonna be beautiful. I know that much. "I've seen him in fights where he goes past the fifth and sixth round, and things start to fall apart for him. So if we can get to his body early, and you see everything we do here in the facility, these guys work me almost to death. We're ready for the 12 rounds plus. We're always ready to take more out of our guy's tank and have a lot more at the end. "I really think there's an understanding we both have. He tells me what to do and I listen. Like he always says, as long as I listen, everything will play out the way it's supposed to. We have that one understanding, and the rest just carries itself. "I've seen myself hurting him to the body, but haven't seen myself stopping him. I can see him going down, but I can't see him not getting up. Maybe that's too much respect for him, but I know in the moment, in the fight, I'm going after this dude. I feel like right now, he has the heart of a lion. He's Haitian, he carries that blood with him, he's proud of it and I respect that, so I'm ready for a full fight.